In our first of a series of interviews, we spoke to Huddersfield Town Ladies manager Ashley Vickers to talk about what managerial life is like; the women’s game in general; and how the Huddersfield Town Ladies are faring this season. Starting with the basics, for those who are unaware, what division do Huddersfield Town Ladies currently play in and what is the comparable equivalent in the men’s game? Is there a promotion and relegation structure or does the set-up differ slightly in the women’s game? Yes, there is promotion and relegation in place, it slightly differs for promotion as you need to meet certain criteria to move into the FA Women’s Championship and then FA Women’s Super League. It’s a little bit similar to joining the EFL from the Vanarama National League, certain funding criteria to make it sustainable. How would you describe the women’s game to the casual fan? What should they expect? For me, it’s the same as any football, but the only difference I see at the minute is it gets less coverage but that being said we are seeing a change at the minute which can only be good for the game. The more exposure it can get the better all round. Speaking more broadly about yourself, how did you originally get involved in management and specifically the Women’s game? I started my coaching career at Doncaster Rovers working with u9-13’s and saw the opportunity arise to join as assistant manager of Huddersfield Town Ladies, I always wanted to work in an 11 v 11 environment and I felt it was a great opportunity for me. The management role came 2 years later and at first, I was unsure if that would be for me but after a few months of trying to stamp my own ideas on the team and the feedback from the players I knew it was the role I wanted to continue with. What would you say the major difference is between managing a women’s team and a men’s team? For me I don’t see too many differences at all, maybe the one key one is communication you have to make sure your open and honest with the players. This could be said for both the male and female game, but for me taking time to speak with player individually is key to getting the players on board. Female teams can often have divides within the team but I can honestly say I pride my team on making sure everyone is together whether on the pitch or socially. Turning our attention to this season, how are the Ladies’ faring so far? Where do they sit in the table? We are doing really well at the moment, we are currently joint second behind leaders Blackburn Rovers. We have lost only 3 games and won 10 in all competitions, but I’m still slightly disappointed with that but that’s just me being harsh because of the games we dropped points in, I am really happy with the whole squad in truth. What would you say are the aims and aspirations of the Town Ladies this season and what would be a successful season for the Ladies? For me the aim is to push for the highest spot available and at this moment in time that’s still 1st position, Blackburn are a fantastic team and in truth should have been promoted last year but we will look to be ready for any errors they may make. We are still in 3 cups also and we will be looking to add some more silverware to the club. If Town fans come along, what players should they look out for? First of all, I would love to see more Town fans coming along to support the team, it would give the whole squad the support they deserve. For me, I can’t single out any particular players because they all bring their own qualities to the table and we are nothing as individuals but we are fantastic as a team. I saw a stat somewhere that Huddersfield Town Ladies are the highest scorers in women’s football this season, is that true and could you lend the men’s team a tip or two? We were for a period at the beginning of the season but we’ve been overtaken since we do pride ourselves on making games entertaining and goals definitely give that experience. If it helps the club maintain Premier League status I have no problem in lending a hand. Lastly, if Town fans did want to come along and support the Ladies, how much is a match-day ticket and where do matches take place? 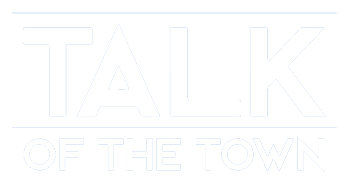 We too, at Talk of the Town, urge you to get down and support the Ladies and in the coming weeks and months, we will be increasing our coverage of the Town Ladies to give you a one-stop shop for all Huddersfield Town content.